“Forever Changing Landscapes” from Christian Faith Publishing author Esther Hinds is an evocative memoir recalling a simple but idyllic childhood on Barbados and the life-changing decision to emigrate from the small, tropical island to New York. Emotional, spiritual, and musical discoveries led to rich life experiences and a successful career supported by an unshakable Christian foundation. “Forever Changing Landscapes”: a lyrical and candid reflection on a remarkable life. “Forever Changing Landscapes” is the creation of published author Esther Hinds, an award-winning opera singer who has enjoyed international success and acclaim. Published by Christian Faith Publishing, Esther Hinds’s new book is an engaging memoir written by an acclaimed opera and concert artist with warmth and candor. View a synopsis of “Forever Changing Landscapes” on YouTube. Readers can purchase “Forever Changing Landscapes” at traditional brick and mortar bookstores, or online at Amazon.com, Apple iTunes store, or Barnes and Noble. 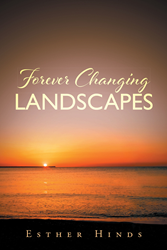 For additional information or inquiries about “Forever Changing Landscapes”, contact the Christian Faith Publishing media department at 866-554-0919.